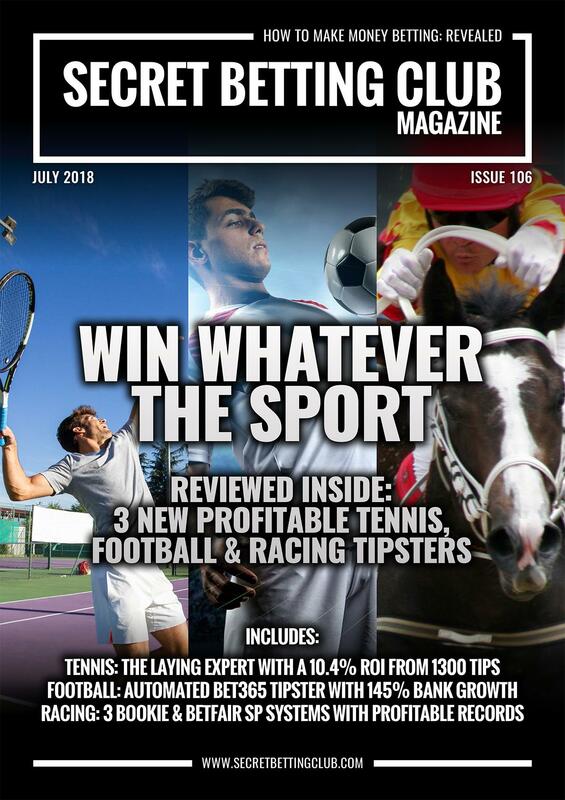 Learn how to win betting whatever the sport with the latest SBC Magazine (Issue 106) – available now and featuring reviews of 3 new profitable tipsters you must check out. Whether it be the laying expert with a 10.4% ROI from 1300 lays, the automated football expert that’s made 145% bank growth or the 3 profitable Bookie/Betfair SP racing systems, we have something for everyone. If you are interested in betting on Tennis, Football, Racing or simply are keen to know which sports can bring you the most success – make sure you grab your copy now. Read the world-first review of this fantastic tennis tipster with a tremendous track-record laying at short prices. Over 1300 lay tips, since 2016, this expert has made a 10.4% ROI and nearly 200% betting bank growth in both WTP and ATP markets. A tipster ideally suited to betting exchange punters. Bonus ‘Back Bets’ – Also Explored. 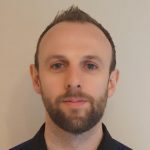 In this review we also investigate further ‘back’ bets as advised by this tennis tipster, which have made a 6.6% ROI from 619 tips since 2017. Another strong exchange-friendly angle. Ahead of the returning 2018/19 season we explore the automated Bet365-only football tipster with a superb record of generating betting bank growth for followers. In this review you can read about our real-life experiences and the profits made following this tipster over the past few months. Providing evidence of profitability in both theory and practice! Our 3rd and final review explores the racing tipster service providing 3 systems in 1 with strong performance since they began in 2013. A mixture of systems to be followed with either Bookmakers or at Betfair SP, as a combination they have made a headline profit figure of 17.7% ROI from 6729 bets. You can access your own copy of SBC 106 and our entire back catalogue of magazines the instant you join the Smart Betting Club. The latest Smart Betting Club magazine (Issue 105 – released on the 10th May) is an automated betting special, focusing in 2 tipsters with betting bots that can place your bets for you. Following the release of this special issue, several of you were in touch to ask more about automated betting, how it works and how betting bots can help you as a profitable punter. So many that I thought it wise to provide a bit more information on automated betting and bots to help explain more in an easy to understand way. Automated betting is very simply the act of using ‘betting bots’ to place your bets for you. And as you might imagine, our interest at SBC lies with those betting tipsters that you can follow on this automated basis. Tipsters that work with betting bots. As it’s a growing area, there are now a number of tipster services available to follow with bots. You simply purchase access to the tipster and they grant you the ability to follow them ‘automated’ either through their own in-house or 3rd party bots. It’s all done with permission of the tipster and bookmaker and is a legitimate option for punters these days. Why are punters using betting bots? What are the advantages of them? Well the most obvious reason is that it saves time – especially for those tipsters who might not advise bets during specific time windows or those who send over a large number of tips. Perhaps too many bets for you to realistically place. The other advantage is that you can program your bot to only place bets under certain conditions – usually in relation to the odds. For example – if you need to take odds of 1.75 on a bet, your betting bot can be instructed to keep checking the market to ensure that if at any point odds of 1.75 are available, your bet is matched. Saving you the need to check the market constantly and observe the odds. Tell me about the tipsters you have reviewed in SBC 105 and the bots you can use with them? In SBC 105 we investigated 2 tipsters available to follow with 2 different betting bots. Smartbet allows you to easily follow many different tipsters and it’s a very advanced bot which can scrape the emails a tipster sends you, pick out the tips and place them for you. We have tested Smartbet extensively as part of the reviews in SBC 105. Tipster 2 is a little different in that the service itself provides their own in-house bot to follow the tips provided. How easy is it to do and setup? Smartbet is a little bit more involved as it’s a program you need to download and ensure is running at all times. Therefore, its recommended you use it in conjunction with a virtual PC – something Smartbet provide easy instructions on setting up. It’s not particularly complex and you just need to follow some straight-forward guides to get it working. Once it is setup that’s it, you don’t have to do anything other than monitor it and the bets being placed to see how you are performing. The other in-house bot (from Tipster 2) is even simpler. You just enter your details including bookmaker account (all securely accessed by the tipster) and the bot is all setup. This takes just a few minutes and is astonishingly easy to do. Can you customise how the bots work – for example the staking and odds? Yes, this is the other appealing reason for using bots – customisation. This includes the staking you wish to use, which you can adjust at anytime to suit your needs. It can be £2, £10, £100 or more. The other appealing thing about these bots is that it lets you request how ‘close’ to the advised odds you are happy to take. This is especially important if a market moves before your bet gets matched. For example, a ‘click’ difference of 10 would mean that if a bet is advised at 2.00, you are willing to take 1.90 (a 10 click difference). You can customise what the click difference is as per your preferences. Best of all both bots provide records of bets placed, which you can export or view to keep updated on your progress. The costs for both bots are relatively low. Smartbet charges you 0.25% of your stake to use, although as an SBC member you can benefit from 20 Euros credit once you open up a Smartbet account. Some tipsters charge an additional 0.25% stake to make up a total of 0.5% as a cost. Therefore, for every £100 you stake, there is a 50p charge. If using the in-house tipster bot, they charge a simple 0.5% of your stake on each bet as a cost. As part of our reviews in SBC105, we evaluated both tipsters and their profitability AFTER these costs were taken into account. Both remain viable solutions after costs. What bookies can you place automatic bets with? Both tipsters featured in SBC 105 only offer automated bet placement through access to Pinnacle Sports. Therefore, you need an account with them to use the automated options. For those of you without access to Pinnacle, the good news is that we plan to review another automated tipster ahead of the 2018/19 football season, which uses Bet365. No doubt as more and more bookies open up their API’s (which allows bots and the like to use them on an automated basis) we will see even more options in the future. Can you follow the tipsters reviewed in SBC 105 without the automated option? Yes, you can – this was an important element of both of these tipster reviews, that those of you who prefer or are unable to follow automated, can do so on a manual bet placement. Do bookies not have a problem with automated betting? No – most of them actively welcome automated betting options as it helps to increase their turnover and make their markets more efficient. The only major exception to this is horse racing – there are no automated bet options for tipsters in this market, simply because it would be unfeasible given the way racing currently bookies work. I do hope the above Q & A has helped to address some of the most common questions you might have on automated betting. It’s nothing to be scared of and doesn’t require a technological genius to get working. These days all you need do is follow some simple instructions, click a few buttons and you can be up and running in no time. You can read some detailed insight into 2 tipsters you can follow on an automated basis PLUS the bots that work with in SBC 105. You can access this issue and the entire back catalogue of SBC Magazines, Tipster Profits Reports, Best Tipster Guides & How I Make Money Betting Interviews the instant you join the Smart Betting Club. There are 3 membership options available – Silver, Gold and Platinum to suit your betting needs and preferences plus you can also save £££ with our 2018 Discounted Membership Prices. 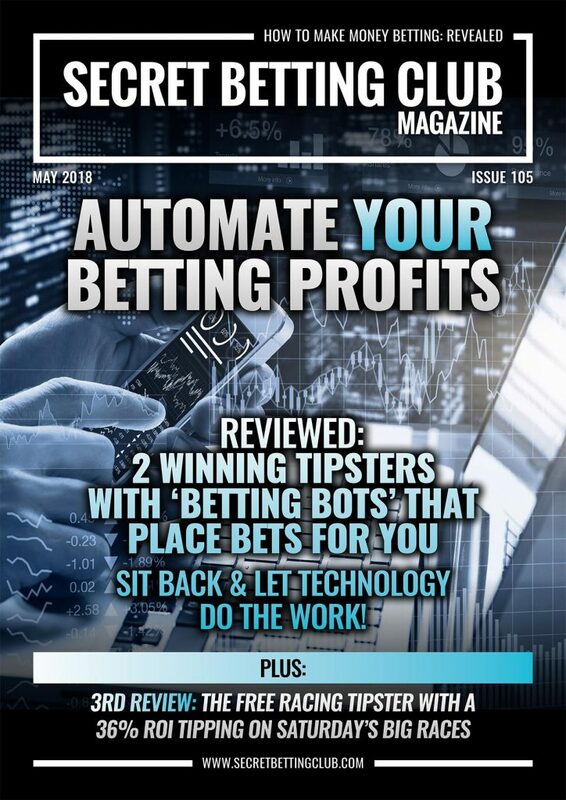 The Latest SBC Magazine (Issue 105) is out now and is an automated betting profits special,exploring both the tipsters and the bot technology that can help place bets for you. Inside you can read reviews of 2 different tipsters with separate automatic bot options, how they work and the profits being made. You can also read a 3rd review focusing in a free racing expert with a 36% ROI tipping exclusively on Saturday’s big races. To explore the growing trend of automatic bet placement, for both of the tipsters above, we explore the 2 different bot options available to subscribers of either service.This includes analysis of how they work, how to set it up, their costs (which in both cases are feasible) and just how the bets placed by the bots compare to those advised.Providing everything you need to know to get started with either of these betting bots and to automate your betting profits. Our third and final review focuses on a traditional racing tipster who have provided all their advice for free since 2014, during which time they have accrued an enviable record.Hitting a 36% ROI from free tips that run in the big Saturday feature handicap races only – its a ideal option for those of you on a budget! You can access your own copy of SBC 105 and our entire back catalogue of magazines the instant you join the Smart Betting Club. You can also enjoy significant discounts on the cost of joining many of these tipsters via our unique Tipster Discounts exclusively available to SBC members only! Best of all, by joining today, you can also save up to £45 on the cost of a Smart Betting Club membership. This is because we have slashed our prices for 2018.